We training 40 kids (7-15 years old) that have the potential career growth. For our presence in the market which is already 14 years, we have built a friendship with our clients. 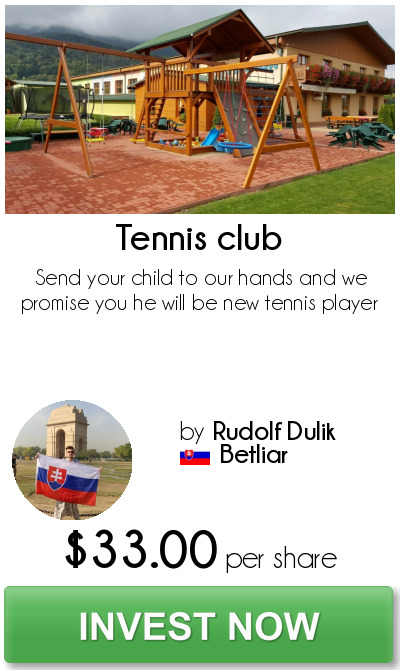 Some clients do not have enough money to pay the whole process of coaching, so we would like to ask investors about sponsorship, every single euro that will contribute will be used for these children (purchase shoes, tennis rackets, club T-shirts, pants, socks, pay for training and transport + meals). Our Club was established in 2004 as an association. In 2005 it started playing at 4 outdoor courts and one indoor special court. The training process began under the leadership special tennis coach. The club has not registered members aged 20-75 years in the number of members to 40 and from 10 to 20 years registered in the number of 27 members. In addition to individual success of children and adolescents we achieved historic results in the team.